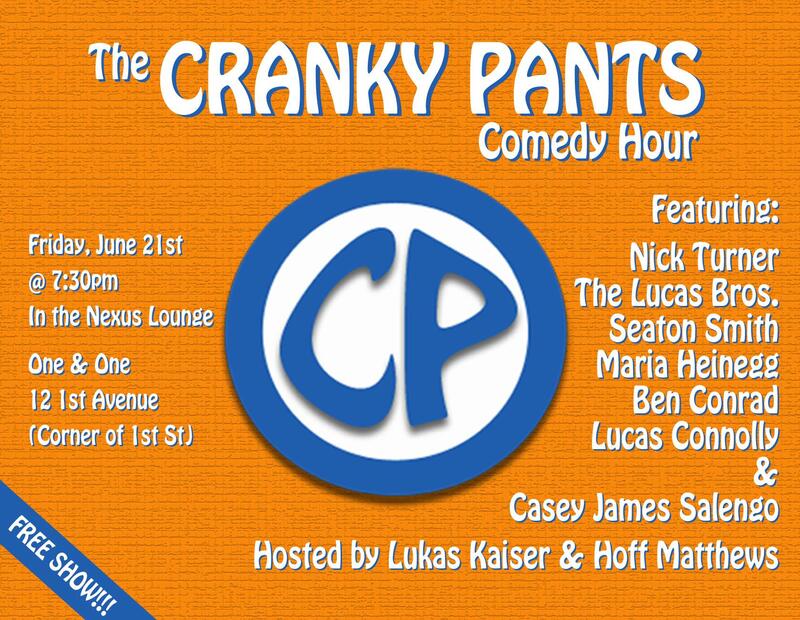 Upcoming Show: The Cranky Pants Comedy Hour! It all starts tonight (Friday, June 21st) at 7:30 in the Nexus Lounge of One & One (12 1st Avenue, corner of 1st St.). Click here for the Facebook event. Hope to see you there!